WHAT IS THIS? 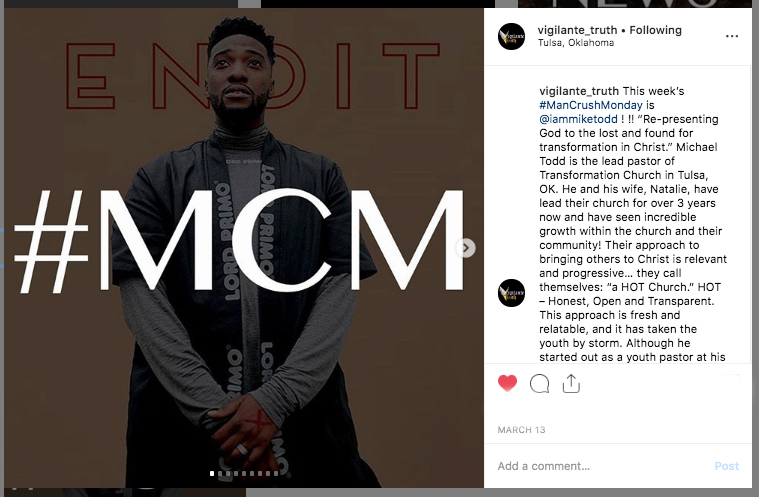 Introducing Vigilante Truth’s own spin on the hashtag: #ManCrushMonday or #MCM!Every Monday, Vigilante Truth will acknowledge a man or group of men who are making a difference in their community. This could be in the form of preventing trafficking, supporting humanity as a whole, or many other forms. We perceive the importance of bringing light and empowerment to women AND men by letting them know they are worthy and valued by Vigilante Truth, and that their efforts MATTER. WHY ARE WE DOING THIS? 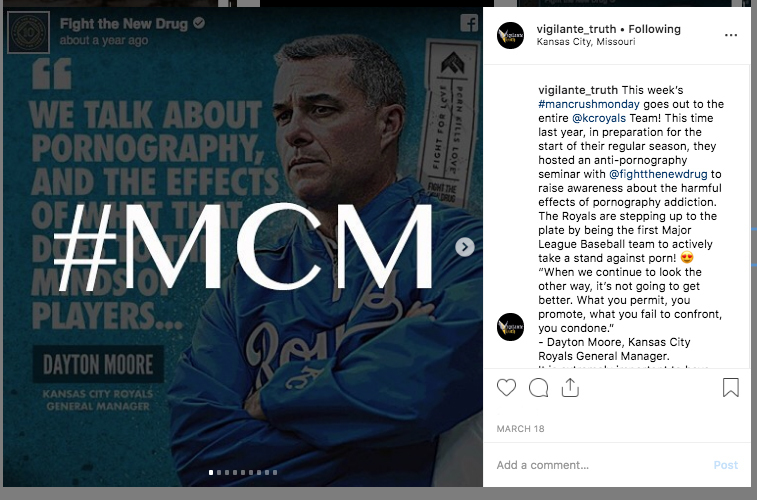 Vigilante Truth recognizes the importance of truly valuing human beings. 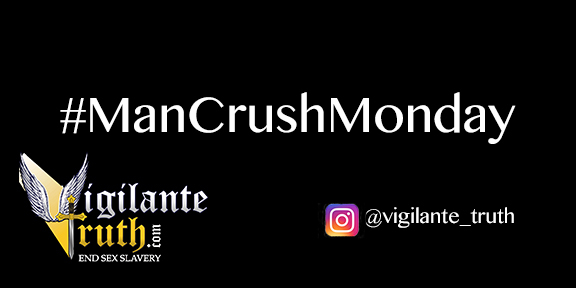 In hopes to show real appreciation for ALL, we will be choosing a man, or group of men every week to post as our #ManCrushMonday. 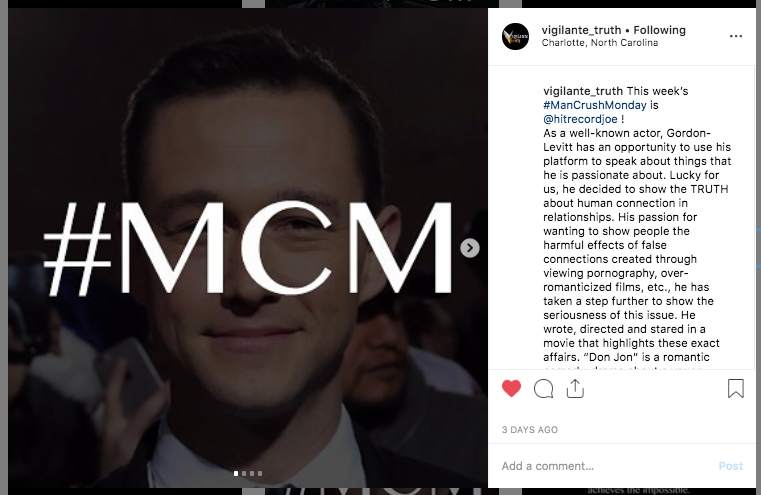 Those who are chosen for our #MCM will be men who are stepping outside of the norm, who are making a difference for woman and other men to have a voice on topics that really matter, while maintain the same values and beliefs as Vigilante truth. Those chosen may be men who are (but not limited to) celebrities, politicians, local doctors, dads, friends, etc. that are accrediting themselves and others in unique ways! Individually, all beings bring exclusive characteristics and talents to the world that deserve exposure in the spot light. We aim to uplift ALL for their hearts with our #ManCrushMonday and #TotalValueTuesday (see our blog on #TotalValueTuesday). HOW CAN I GET INVOLVED? We would love to see others becoming involved in this campaign. Participation in expressing appreciation for the value of ALL is a key factor that will create success! What does success look like in this campaign? 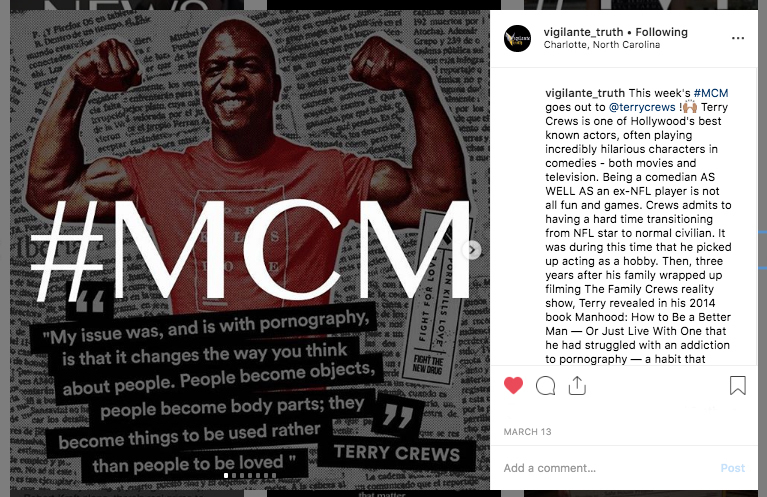 As a nonprofit organization, success would simply come from individuals really feeling appreciated by Vigilante Truth for being honest and open with their hearts and for what makes them unique. We would also love for you to simply like, share or comment on our posts to spread the word and get more of these amazing people involved in our campaign. 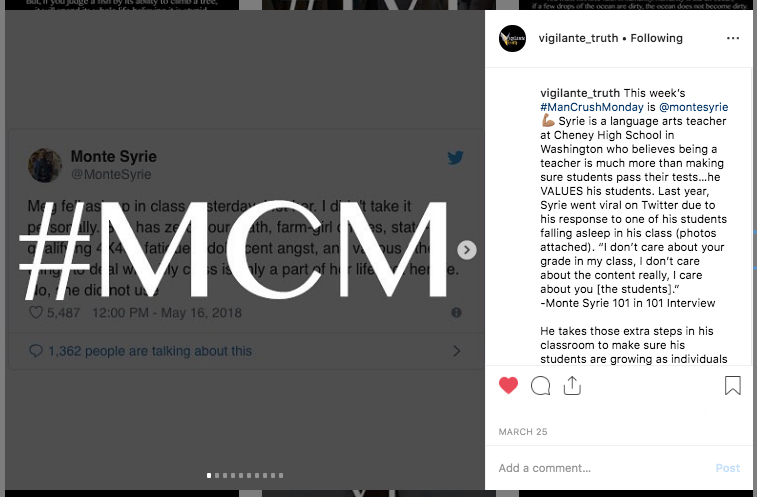 If you would even like to post your own #ManCrushMonday or #TotalValueTuesday and share it with us, we would love to see men/women that you look up to. It means the most to us when we are able to get others involved! We are excited to see where this campaign will go.